Police are clamping down on drivers who use their mobile behind the wheel. Northumbria Police is supporting a national crackdown on motorists using mobile phones behind the wheel. Later this year, a change in the law will see the punishment for the offence increase so that those caught on their phone will face an on-the-spot £200 fine and six penalty points. To support the new legislation, the National Police Chief’s Council (NPCC) held a campaign last November with more than 10,000 motorists being stopped across the UK. Nearly 8,000 mobile-phone offences were detected and were dealt with by means of fixed penalties, summonses or warnings. Police in the North East were also proactive and just under 500 mobile phone offences were detected in the Northumbria area in 2016 alone. Yesterday, the NPCC launched another week of proactive activity – and officers from Northumbria Police will be out on the road again to support the campaign. Motor Patrols Chief Inspector Dave Guthrie, of the Operations Department, said it is vital that motorists respect the road as one small lapse in concentration could prove fatal. 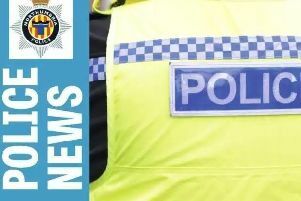 He said: “Police forces across the country will be supporting this campaign and we will have proactive patrols in place across the region to help catch anyone using their phone behind the wheel. “A motor vehicle in the wrong hands won’t just kill one person, it could kill half a dozen in a split second. That is why it is so important for people to heed our advice. “Young drivers in particular think they can get away with playing on their phone, but all it takes is for them to not concentrate for a split second and they are involved in a collision. Since April 2014, Northumbria Police has dealt with 1,543 motorists for driving while on their mobile phone.